Fancy lunch at the Palace? Can you really choose your mood? Don’t strive to be mediocre! What is Asset Management Strategy? Why can’t IT do what we’re asking? If you could transform your business, be more efficient, cut costs, improve quality, and create a high-performing culture, by centralising paper-stapling into one specialist team, would you do it? Business Transformation is all the rage at the moment, not least for cash-strapped public sector organisations seeking magical solutions to the compound challenges of austerity spending going down, while the demand and desperation of our customers is going up. We believe that we need radical change, to make significant efficiency-savings, while still being able to deliver much-needed public services, and remain true to our values and purpose. How can we reduce our bureaucratic, infrastructure costs and find new ways of working, and more cost-effective solutions for our customers? The drive for streamlining, reducing cost and complexity, is therefore understandable and commendable. But what drives me mad, is when this becomes nothing more than “activity analysis” – peddled by consultants purporting to offer a pseudo-scientific, measurable methodology to rationalise resources, but which is, in fact, fundamentally flawed because it presumes to understand the nature of an organisation by quantifying the tasks that people do, without regard to what they are doing them for; what they are trying to achieve. Typically coupled with blind faith in ‘consistency’ and ‘economies of scale’ this focus on inputs can do more harm than good, and end up costing more money rather than making savings – and not just because of the exorbitant consultants’ fees. We start off on the wrong foot by collecting managers’ estimates of the amount of time people across the business spend on stapling paper: not actual measurements, even though we know that managers’ perceptions are usually some way removed from reality. We forget that we originally guessed the figures, and the analysis, expressed to a decimal point or two, becomes fact. And lo! the ‘data’ tells us that paper-stapling is a dispersed activity involving a lot of different people, consuming a surprising amount of staff time and incurring costs we didn’t expect. So instead of all these fragments of expensive resources, we can centralise the paper-stapling function into a single specialist team, reduce the overall amount of staff time needed, and so reduce the cost. The short-term costs of changing people’s jobs and recruiting a new team is treated as an ‘investment’ and we’re convinced we can recover that upfront expense from the savings we’ll make over time. We begin to believe that we have allowed too many different ways of stapling paper to develop across the organisation, and all that complexity adds cost. So let’s design a one-size-fits-all process that meets most requirements, and we can make that work if other teams adapt as well – “don’t be set in your ways! we all need to change! we’ll involve you in a process-mapping workshop”. So in addition to the disruption and the cost of recruitment, we’ll spend more on process-mapping, which will lead to new procedures and the training for the specialist paper-staplers necessary to increase the quality and consistency of the stapled papers. All the different reasons for stapling paper, different paper, different ways of stapling that suit the purpose to which the paper is put, get lost in a team whose only driver is to staple the paper. They don’t see the end-to-end process, have no appreciation of the outcomes, and have lost sight of the original purpose. The stapling becomes an end in itself. In the absence of a meaningful purpose, we feel the need to set performance targets to motivate the paper-staplers – the usual things like turnaround time, throughput, quality and customer satisfaction. We’ll appoint a Paper-Stapling Manager (more cost), who is responsible for motivating the team, setting objectives and reporting on their KPIs. So we’ll have measures to ‘prove’ that the team regularly exceed their targets and that the new way of stapling papers is more cost-effective than the old way (which, remember, we never actually measured before). Once we have all the paper-stapling in one place, we can see further opportunities for making savings through economies of scale, by bulk-ordering a one-size-fits-all stapler, to suit all (well most) purposes. And sometimes we’ll be tempted to outsource our paper-stapling to a contractor who is even further removed from the work and the customer, and we can spend more time and energy on procurement, writing specifications, contract monitoring and compromising on quality ‘cos its exhausting! But don’t worry it’s cheaper than doing it ourselves! Call me crazy, but I think that 9 times out of 10 (estimated 🙂 the people who use the paper, know the best way to staple the paper to meet that purpose, understand when it needs to be done, even if it needs to be done, and are best motivated to do the stapling as part of achieving their goals, and the real measure is the outcomes they achieve, not how much paper they stapled. 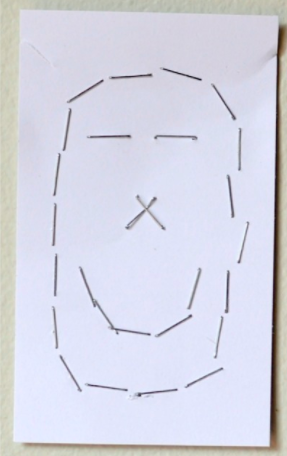 Do you have experiences and thoughts on paper-stapling, or activity analysis, to share? Why Do I Love Being an Interim?